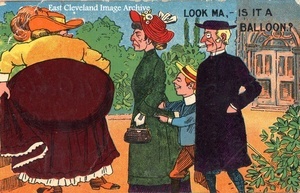 A politically incorrect cartoon, lampooning the rotund lady. Which seems to amuse the cleric. 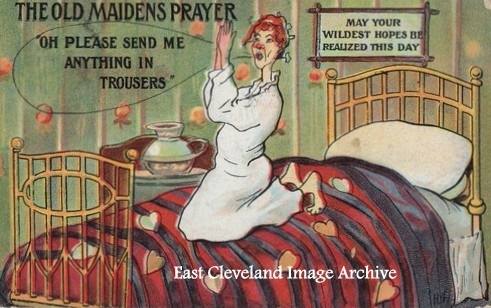 A strange postcard from the Edwardian era. 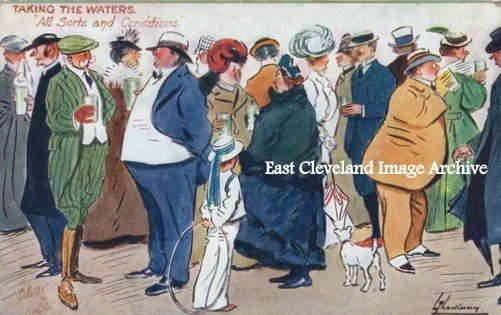 From the title commentary and the well fed patrons this would seem to be a scene at an Edwardian spa. Taking the waters was popular in Victorian and Edwardian times. Scarborough and Harrogate were spa towns. Postcard courtesy of Pat Bennison. 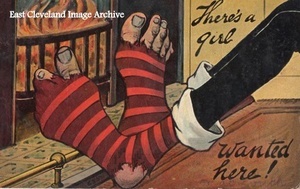 The caption says ”Theres a Girl wanted here”. A foot transplant would be more suitable than darning these socks. I would not like to argue with this fierce looking lady. 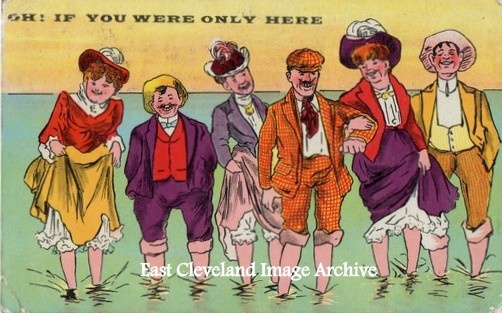 An Edwardian Seaside Postcard with Unsuitably Dressed Holliday Visitors Enjoying a Paddle in the briny. 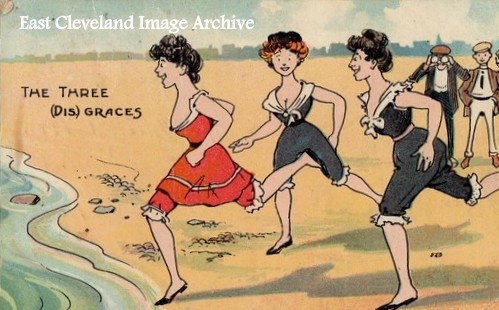 Three daring young ladies, The disproving comment sums up the attitude of victorian values. I wonder what they would make of todays Beach wear. 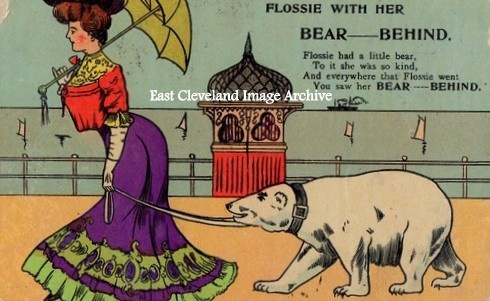 Postcard courtesy of Pat Bennison. One Hopes her prayers are answered!!. 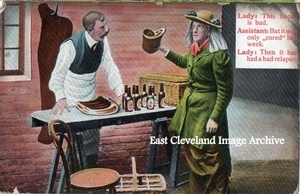 Postcard courtesy Pat Bennison. A Saucy Seaside Postcard, One of several we are posting, These Cards Predate the Better known Bamforth comic Postcards.